Nintendo is selling 3DS games, like New Super Mario Bros 2 and Demon Training, as digital downloads. 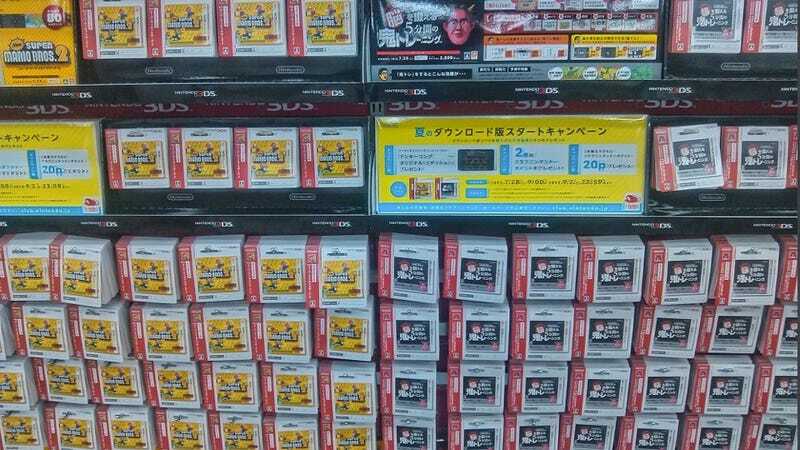 Those who don't like purchasing items online can swing buy their local retailer in Japan and be greeted with aisles of download cards. Aisles of this.